Bananas can do it. : Momo is a nail addict. I decided to tell you something about Momo. Since Momo has no clue about me actually writing this right now I'm able to tell all the dirty stuff without Momo bossing around HAHAH GOTCHA MOMO!!! So, who Momo actually is? Momo is my twin sister,she's 12 minutes YOUNGER than me so I'm the BIG SIS!! Right now she's in her room doing nails..yes she's doing nails. 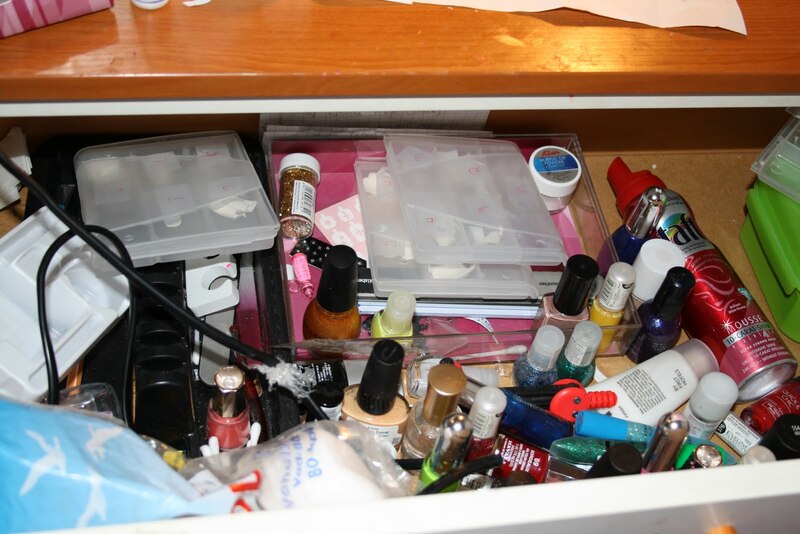 She has tons of different nail-stuff..nail polish, tips, fake nails, jewellery and even UV-oven. If you see Momo with "original nails" ( at this case nails that are only painted with nail polish..) you must pinch yourself. I can't find photos of momo with nails BUT I can always show you MY NAILS!! ...I mean yeah, Momo is getting pretty good with nails. This is Momo's nail box. or..part of it. I was very ninja and took it (picture) while Momo was away from her room. OH YEAH MOMOS ANOTHER WEAKNESS...surprise it's SHOES. She has like 14 pairs of HIGH HEELS. Momo owns 4 pairs of red high heels, not to mention other colours..
OH NO I GOT CAUGHT!!!!!!! well.. SHE CAN'T STOP ME!!! I don't think there's more to tell..
WL: Poke who's still alive. Momo always dances like this. ps, sorry, no cosplay stuff inc.
WOOOW...guess what? 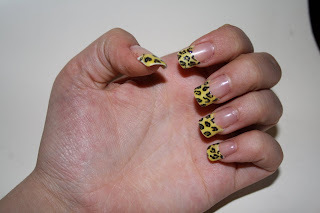 I just did my nails! p.s REVENGE IS COMING! !